Responding to Drug Misuse provides a unique insight into the current shape of the drugs treatment system in England. Reporting findings from research linked to the government's ten year drugs strategy Tackling Drugs to Build a Better Britain, the book places these in the context of policy, practice, and service development. It goes on to discuss the implications of these findings for the government's new strategy Drugs: Protecting Families and Communities. 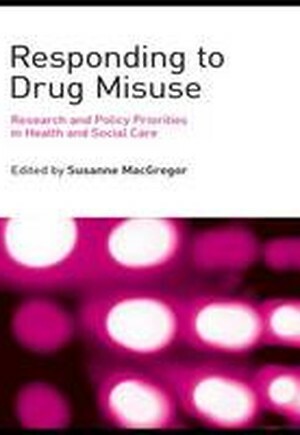 Throughout the book contributors reflect on current debates on drug strategies and social policy and consider the relevance of the findings for policy and practice. Topics discussed include: * recent trends in drug policy and how these link to crime * responses of dedicated drug treatment services * service users' perceptions and suggestions for improvement * the impact of drug misuse on children, families and communities. This timely addition to the literature on drug misuse will be essential for substance use practitioners, including social workers, psychiatrists, psychologists and nurses. It will also supply helpful guidance for health and social care commissioners and policy providers. MacGregor, Policy Responses to the Drugs Problem. Duke, The Focus on Crime and Coercion in UK Drugs Policy. Macleod, Drug-taking and its Psycho-social Consequences. Raistrick, Tober, Godfrey, Parrott, Treatment as Usual. Weaver, Goyder, Hart, Fehler, Metrebian, Crawford, Care Co-ordination in Drug Treatment Services. Donmall, Millar, The Effect of Waiting for Treatment. Radcliffe, Stevens, Early Exit: Estimating and Explaining Early Exit from Drug Treatment. Neale, Godfrey, Parrott, Sheard, Tompkins, Barriers to the Effective Treatment of Injecting Drug Users. Metrebian, Sell, Shanahan, Carnwath, Alcorn, Ruben, Mehdikhani, Stimson, Prescribing Injectable Opiates for the Treatment of Opiate Dependence. Kouimtsidis, Drummond, Cognitive Behaviour Therapy for Opiate Misusers in Methadone Maintenance Treatment. Crawford, Patterson, Agath, Weaver, Involving Service Users in Efforts to Improve the Quality of Drug Misuse Services. Weaver, Charles, Barnes, Tyrer, Co-morbidity in Treatment Populations. Frisher, Crome, Martino, Bashford, Croft, Epidemiology of Drug Misuse and Psychiatric Co-morbidity in Primary Care. Orford, Copello, Simon, Waheed, Fazil, Graham, Mahmood, McNeil, Roberts, Offering a Service to BME Family Members Affected by Close Relatives' Drug Problems. Clay, Corlyon, A Review of Services for Children and Young People with Drugs Misusing Carers. Kroll, Taylor, Dilemmas in Intervening Effectively in Families Where There is Parental Drug Misuse. MacGregor, Evidence and New Policy Questions.